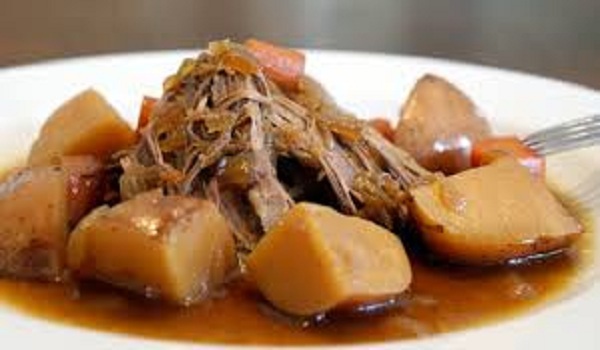 Beef With Potatoes is a very popular recipe. Learn how to make/prepare Beef With Potatoes by following this easy recipe. Put olive oil and onion slices in a tagine one after one. Then top up with garlic. Add on potato slices and cover it up with meat. Add on spices evenly and next put on cilantro, parsley, olives, preserved lemon, 1 ½ cups of water. Cook it covered on medium flame until it starts boiling. Then cook it on low flame for 3-4 hrs or until meat is cooked.